Wish I could get an upgrade on my Mordaunt Shorts! 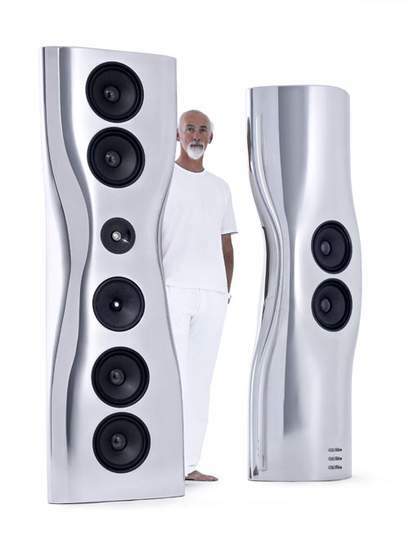 "If you're after a floorstander for less than £500, these KEFs are pick of the bunch. The fact that these aren't aesthetically different to the iQ5s is no bad thing: these are gorgeous, compact floorstanders. The Uni-Q driver, which incorporates both the tweeter and a mid/bass unit, makes for a neat, uncluttered face. The cabinets may look the same, but musically these are very different beasts from their predecessors. The iQ5s majored on refinement, while the SEs offer rather brilliant speed and punch." A good price for great speakers. Bound to be cold on here then! A good price for great speakers. Bound to be cold on here then!Hot. I dunno, the Aston Martin deal is over 1000 degrees now! Might anyone know how these might compare to some B&W 603S2's? I demo'd these in Hi-Fi Corner in Glasgow a couple of years ago and they sounded fantastic - although I should add, they were hooked up to a Rotel amp and cd player! The bass on them was damn tight and the treble crisp and clear, but as I said, they were hooked up to a Rotal amp and cd player, so I'm not sure they'll sound that good with a Bush or Goodmans hi-fi. Gotta respect the KEF. Heat. Very open and detailed but not as musically satisfying as my old KEF reference series, and the bass - what bass? When I heard them they sounded bland. It's been a while since I have heard anything interesting with a KEF badge on it. There are much more exciting speakers out there, even at this price. If only they'd made them a bit taller that bit wouldn't have stuck out at the top. I've got these beauties in cherry - they're fantastic, i paried them with cambridge amp & cd player. One a technical note ...they perform better the louder the music, so they may not be for you if you've a small living room on a top floor flat!!! Lovely speakers and a very good price, think I paid £450 3-4 years ago. Scuse my amateur question, would these be too outrageous as front speakers on a 5.1 setup? Scuse my amateur question, would these be too outrageous as front … Scuse my amateur question, would these be too outrageous as front speakers on a 5.1 setup? Damn I wish I wasn't downsizing my collection of crap right now as these are awesome for the price! Just bought them at this price. Thanks! I just got some Q-Acoustic 2010's from Audio Affair, they are about £110 or more from most places, I got the "B" grade ones they have on offer (£70), they are "new with slight marks on the top" according to the info but I can't see any marks. What Hi-Fi gives them 5 stars and says they are the best speakers around for up to £150. I am very impressed with them and they look great too. If only they'd made them a bit taller that bit wouldn't have stuck out at … If only they'd made them a bit taller that bit wouldn't have stuck out at the top.